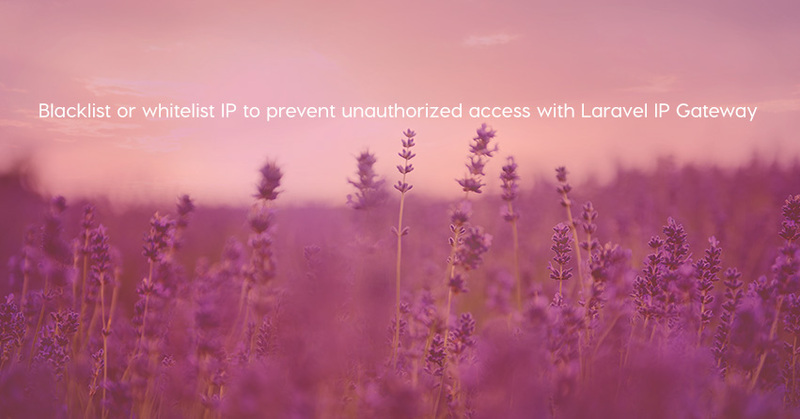 Laravel IP Gateway is a good package which helps us to blacklist or whitelist IP to prevent unauthorized access. Since blacklists deny access to specific entities, they are best used when a limited number of items need to be denied access. When most entities need to be denied access, a whitelist approach is more efficient. After installation, You need to publish the config file for this package. This will add the file config/ip-gateway.php, where you can configure this package.